After several injuries, Debbie Krejci ERYT-500 and Lead teacher at the ytt's turned to Yoga & Pilates for rehabilitation after all else had failed. These practices offered what was needed to heal and strengthen her body and mind. 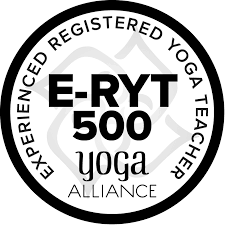 Gaining her ERYT-200 and then Advanced ERYT-500 signifies Debbie's commitment to yoga. Debbie Krejci is also a Yoga Alliance CEU provider. Currently studying Ayurvedic Health, Debbie is the student forever of health and wellbeing. She has completed level one of the Ayurveda Course via Sevanti Institute and has consulted with several Ayurvedic Doctors in Sri Lanka for her personal health and knowledge. ​Her teachers to name a few: Bryan Kest, Ellen De Jonge, Sri Dharma Mittra, James Baily, Tara Stiles & Yogi Hari. Debbie's experience, light-hearted approach & clear instruction enable all students of any levels to find peace, ease & joy in their practice. Debbie also holds certifications in Pilates, Personal Training, Aurveda Training & Thai Massage. Always learning as a student she loves taking classes from new teachers on a regular basis, seeking out new and experienced teachers, as she feels learning is a life-long process and that you can learn from anyone at any time. She specializes in an All-Level Vinyasa & Super Yummy Yin. Believing that yoga can and should be fun; her classes leave you feeling oh so happy you came. As a former firefighter/paramedic & marathon runner, Debbie will challenge you to see limitations as plateaus in disguise. Understanding that the subtle differences that occur in your ever changing body during and after your yoga practice are key and keep you coming back for more. For Stacey, yoga is totally about connection— to our own body, our breath, and to the world around us. Stacey offers yin yoga and hatha/vinyasa style flows with a strong focus on deepening and connecting with the breath, allowing the mind, body, and breath to work together as one. Practicing with this focus and awareness allows the chance to listen and respond to the body’s needs in each moment. Since beginning in 2011, Stacey’s own practice has been continuously evolving. Her intention as a teacher is to help you explore the evolution of your own practice in a relaxed, safe, and supportive environment. Whether you are new to yoga or advanced, her classes will help you improve strength, flexibility, and the ability to connect by allowing you to discover and focus on your individual needs, even in a group setting. An Oklahoma native, Willis has made cities such as New York and Las Vegas his home, performing as a dancer at the Metropolitan Opera and Cirque du Soleil. Through the stressful and sometimes painful life as a dancer, Willis found yoga to be the most beneficial compliment, both mentally and physically, to dance. His relationship with yoga has since deepened throughout his years of practice. Willis believes whole heartedly in yoga’s transformative nature, and respects the power that yoga possesses to keep one grounded, focused, accountable, and aware of even the smallest moments on and off the mat. He has been practicing for 10 years. Willis believes that you learn a lot about yourself and others by regularly coming to your mat. His teaching style is fun and creative with great focus on the movement/breath connection. Transitions can be just as important as the postures, so prepare to feel the beauty in the “in betweens”—for life is about the journey and not the destination. Come flow, feel, and go deeper into your own yoga practice in a supportive environment with some rockin’ jams and an inspirational vibe. hootie-hoo! A San Diego native, adventure lover, travel, nature, fitness, & yoga. She began practicing yoga back in 2012 and quickly fell in love with the practice. Yoga has taught her to slow down and truly connect to the breath which has helped immensely with anxiety. Yoga is her practice with self & her spirituality. Yoga, is love, self-love, & compassion for others. Practice has taught her to let go of the ego & be accepting of where she is at, in that moment in time. It has taught her to be more present in day to day life. Kristen teaches Vinyasa flow & Yin Yoga with a focus on breathe, movement, & connection with self. While loving to create classes that challenge you, she also believes in moving through each pose safely using proper alignment. Teaching has become a passion for her and she loves to share with others all that yoga has brought to her life. If through her teachings she can connect, inspire, or help just one person, fulfills her purpose for teaching.